When GAT Trustees attended the launch of The Chamwell Centre back in late October 2016 they were excited to be part of such a major project. A fundraising goal of £3.5m - by the summer of 2019 - seemed just about achievable to around 100 people who were in the Library at Highnam Court that evening. GAT’s commitment was to raise £50,000 to equip the Hydrotherapy Centre, once it was built. But, as with most large partnerships, we were soon involved with the 1st phase – the footings and utilities. Creating a campaign to attract the wider public led to the launch of "Swim Across The Moon" (SATM) – a distance of 3.5 million metres. GAT Trustee, 72 year old retired surgeon Guy Rooker, became an unexpected role model for not letting your age become a barrier to physical challenges when he set himself the goal of swimming 40,000 metres (40 kilometres) and raise at least £6,000. Not only has he beaten his goal - he has set another one and hopes to keep going and swim 80,000 metres (50 miles) and raise even more money for The Chamwell Centre. By 11th June he had just passed the 57,000 metres mark. Pupils from Cheltenham Ladies College, the Milestone School and many others have launched their own personal SATM campaigns. Turning a dream into reality with bricks and mortar takes vision, passion, self-confidence and, just occasionally, luck. Approaching the financial management company St James&apos;s Place for a £700,000 grant, during their 25th Anniversary year, meant the Chamwell grant was doubled to £1.4m. Splitting the project into 3 phases meant the fundraising committee were able to target a wider range of charitable Trusts. Some would only get involved once construction had started while others wanted to fund very specific aspects. Work actually began during the August 2017 school holidays and in total Chamwell has raised around £3.2m. GAT has been able to pay forward £25,000 of our pledged £50,000 and we are now busy with our "Hydrotherapy for All" campaign to raise the remainder of our target. We are proud of this partnership, which is aimed at overcoming disability across Gloucestershire. Having access to state-of-the-art facilities outside school hours could make a huge difference to 1,500 people every year. Some will be recovering from surgery while others will just be trying to control their condition. Birthday coming up? Do you really need more stuff - why not ask family and friends to give you donations to GAT instead? Major Wedding Anniversary coming up soon? Does it end in either a five or a nought - save your friends the anxiety of getting you &apos;the right thing&apos; by asking them to make a donation to GAT instead. Setting up an online donations page with either of the two biggest organisations www.justgiving.com or www.virginmoneygiving.com is easy and they have all our details too. What about the stamps from your birthday or Anniversary cards? They have a value too. We have teamed up with Paul Roebuck at Fundraising Stamps - an organisation that buys recycled stamps in bulk for £12 per kilo. Leave at least a 1cm gap around each stamp and send them to GAT. Getting neighbours round for a coffee or a cuppa can be a great way to raise money for charity, especially when you add in some home-made cake. Why not ask Liz in the GAT office to bring along some of our greetings cards and other gifts to boost your fundraising? You may not be mobile enough to run a marathon or cycle from one end of the country to another, but maybe you have a relative who is. We have been given donations from a cyclist whose Mum suffers from Osteoarthritis as well as from a daughter who marked her 30th birthday by Skydiving to raise money for her Dad who has rheumatoid arthritis. Last year we made grants of £34,209 available for specialist equipment thanks to over £9,000 of legacies. GAT needs more Legacy donations so we can provide the ever-more expensive medical equipment needed by surgeons. This will enable us to help the next generation of Arthritis sufferers. Our biggest legacy last year came from Eric and Cynthia Gautrey based on their "regard for our cause & the great work that we do," according to their son Colin. To find out more about leaving GAT a legacy click here. If you, or anyone you know, are thinking of scrapping a car, why not donate it to help GAT? On average it could raise £100. We have teamed up with the specialist not-for-profit company "Give a Car" who will collect, for free, any vehicle and then make a donation to your nominated charity. You can chose to donate all the money, or ask to keep half yourself. To read more go to their website giveacar.co.uk and see just how they have already helped hundreds of charities. When prompted to select your chosen charity you must use our full name Gloucestershire Arthritis Trust. GAT was among the first charities to adopt the new "Good Fundraising Code". You will see the bright yellow graphic icon (pictured left) appearing on our website and literature as it is produced. To treat donors and supporters of all kinds with honesty and respect. To be transparent when asked about cost ratios, costs of fundraising and related issues. 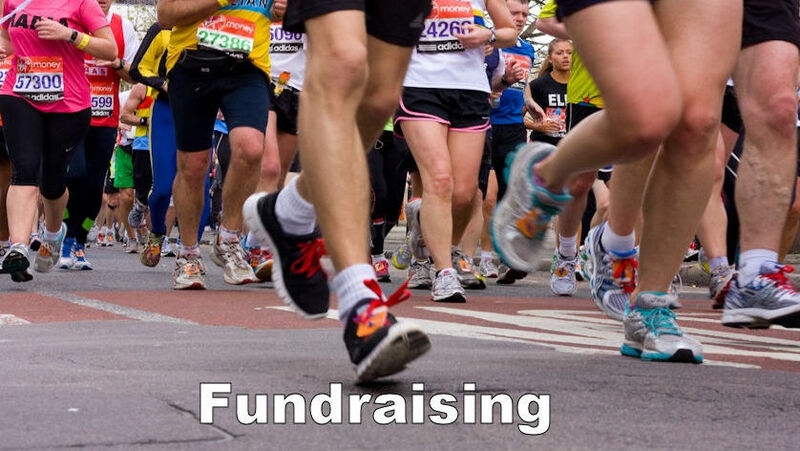 To abide by all legal regulations governing fundraising and aim for best practice. To have a complaints procedure for supporters to access when they do have a complaint about any fundraising.